If you are looking for some of the latest espresso makers in the market, the simple yet elegant Nespresso CitiZ might just be the unit to catch your eye. It’s the kind of device one would expect in 2030, but espresso lovers need not wait for all that long as the Original Nespresso CitiZ Espresso Maker by De’Longhi is here already. This review looks at what makes the Original Nespresso CitiZ Espresso Maker a dream come true for coffee lovers around the world, as well as the cons that come with the device. First, we'll start by highlighting the features of the product. Next, we'll then move on to the special aspects of the Citiz. Afterwards, we'll then show you the downsides of the product. We also drop a YouTube video to give you a visual of what to expect. You'll get a feel of what the world has to say. Finally, we'll serve up our take on this whole ChitiZ Kerfuffle. Ready for some buyer information on this stylish espresso maker? Great, let’s dive into the Original Nespresso CitiZ Review! This is really the meat of this piece. Here, you get to know precisely what you are getting yourself into. Here is to whatever that may be! This device has 16 flavor capsules. Nespresso Citiz does not have a frother. The unit has a 19 bar pump. Nespresso Citiz has a pressure power of 1720 Watts. The device takes 25 seconds to make espresso. This product has a removable tank with 1-liter capacity. The device takes 9 minutes to switch itself off. The product measures 5.1 x 14.6 x 10.9 inches. 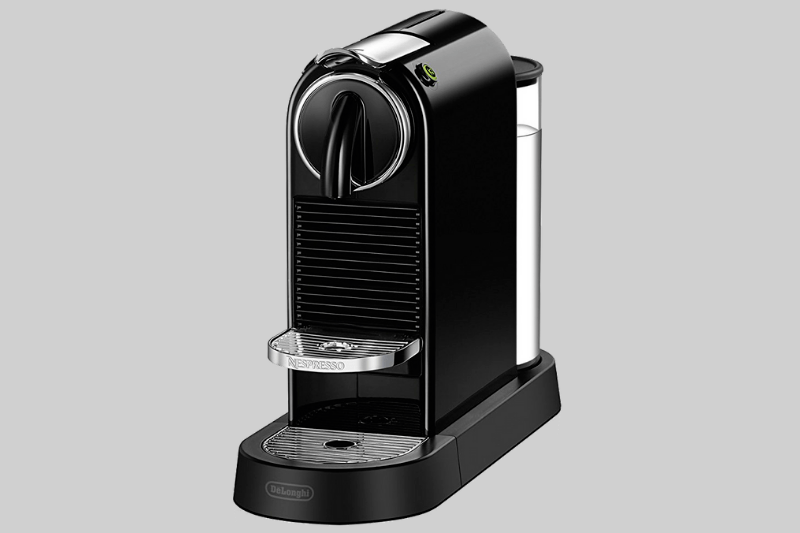 The Nespresso Citiz weighs approximately 7.5 pounds. CitiZ has carved itself a niche in the market, and for a whole lot of reasons. Let’s get to the good stuff, shall we? Impressive Design: One of the most remarkable features of the Nespresso Citiz espresso maker is its compact and elegant design. The device can easily be slotted into any space in your kitchen. The product also comes in several colors including white, red, silver and black. You can thus choose the ideal color to match with your kitchen. Top Quality Coffee: As it uses the highly acclaimed Nespresso capsules, the quality of coffee is remarkable. The capsules are air-tight, meaning that freshness is always guaranteed. The 19 bar pressure power ensures that the numerous flavors of the coffee capsules is optimized. 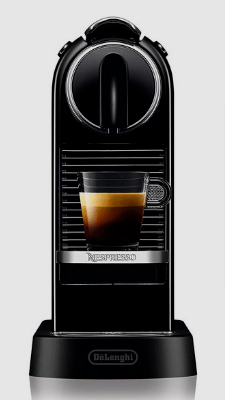 High Efficiency: The Nespresso capsule system makes brewing rich espresso extremely simple and quick. You don’t need to worry about grinding or tamping coffee beans. After slotting in the capsules, you only need to wait for 25 seconds for your espresso to be ready. And you need not wait to stop the flow of coffee, the machine does that automatically. Versatility: Coffee lovers have two drink options to choose from: espresso and lungo. The difference between the two drinks is the amount of coffee used, with espresso being 40 ml and lungo 110 ml. While the amount of water for each drink is programmed, the device allows you to reprogram it according to your preference. Simplicity of Cleaning: Unlike some espresso makers in the market, the Nespresso Citiz is very easy to clean once you’re through using it. Dismantling the parts of the device for cleaning is both quick and straightforward. You only need a mild detergent and tap water to wash the drip tray, capsule container, water tank and drip grid. The exterior can be wiped clean using a damp cloth. Power Efficiency: If you are like most people, you want your appliances to be as energy efficient as possible. That’s just what the Nespresso Citiz espresso maker provides. The device turns itself off 9 minutes after you’re through using it, averting needless power consumption. Of course, you can extend that time to 30 minutes if you wish the machine to stay powered a longer time. No Cleaning Alert: The device does not give descaling alerts, thus you have to keep track of when you did the last descaling. Single Purpose: The product can only make espressos. If you want to make cappuccino or latte, you have to buy a frother separately. Location of Water Tank: It’s not easy to tell when the water level gets low since the water tank is found at the back of the device. Going over the features and benefits of the Nespresso Citiz Espresso Maker is an effective way to learn more about it. Now, let's see what actual customers think about this product. We will explore some independent review sites and customer reviews from Amazon. This can be beneficial for those browsing for their perfect coffee machine. This product comes highly rated on Amazon. It has a four-point-three star rating with over 120 customer reviews. Coffee dreamers have nothing but good things to say after giving the Nespresso Citiz espresso a shot. 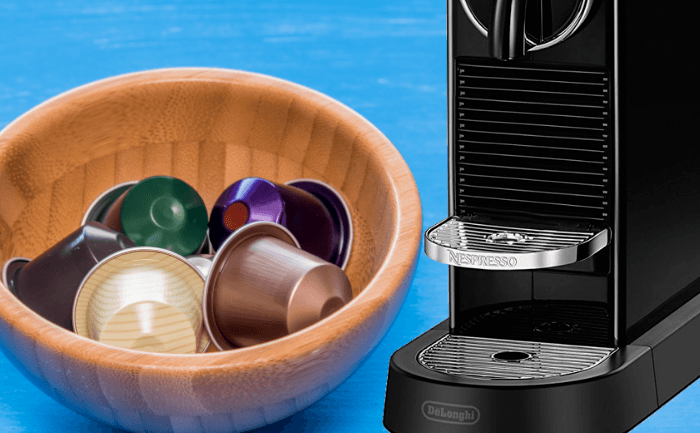 One satisfied client says that after reading negative reviews about the Keurig machine that she was tempted to buy, she decided to buy the Nespresso Citiz espresso maker instead. She says that she loves the machine, and while coffee pods can be expensive, the quality of coffee is well worth it. Another reviewer gives the device a five star rating. He says that while he does not drink coffee a lot, his girlfriend does and she loves her new Nespresso Citiz espresso maker. He notes, though, that one is supposed to buy little cups of various flavors. There’s a lot to say about the Nespresso Citiz espresso maker, but the words that immediately come to mind are exquisite, modern, and efficient. For coffee lovers, this device makes it easy to brew premium espresso quickly and will keep you looking forward to the awakening aroma of a delightful cup of coffee every morning. Few espresso makers in the market offer more in terms of design and efficiency.